All was going according to plan. I carved, and I enjoyed it. 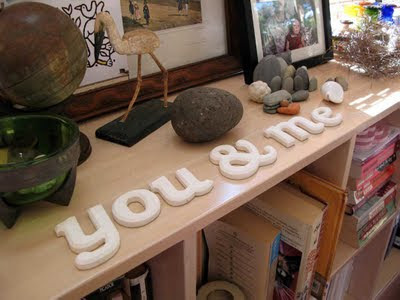 When I was finished I sat the letters on top of my bookcase for a while to enjoy them. 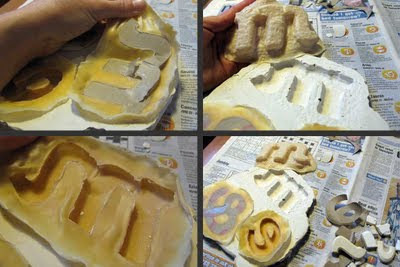 Then I made some latex moulds of the letters. I painted on twenty coats, which took two weeks allowing for drying time inbetweentimes, and really ponged. 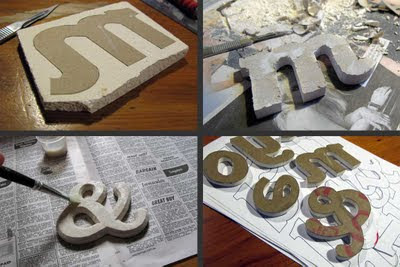 I had to pull so hard on the latex to dislodge it from the mother and the original letter that it distorted unusably. 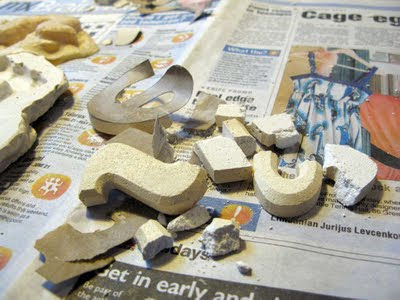 ...and I destroyed my letters too. Waaah!